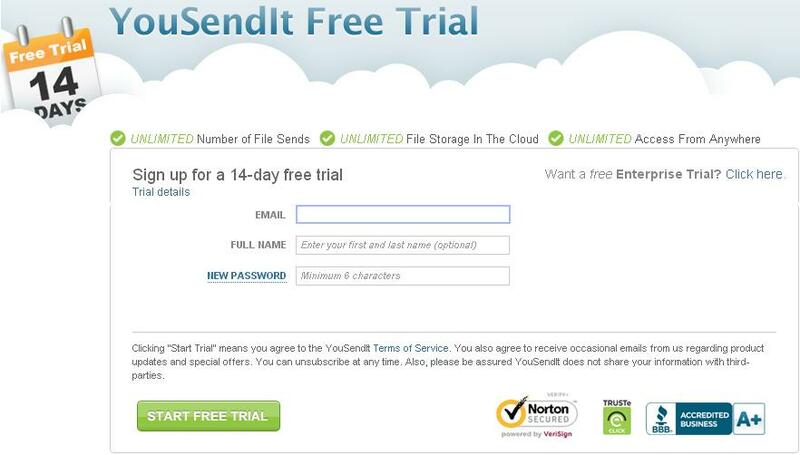 YouSendIt is one of the most popular industrial cloud based online backup and file sharing services around. It has millions of customers from over 190 countries worldwide, and it supplies service to almost every Fortune 500 company. 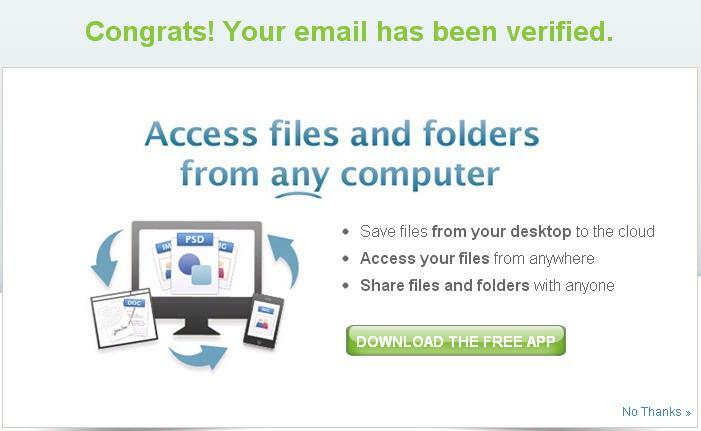 This should give an idea of the confidence that customers show in YouSendIt. 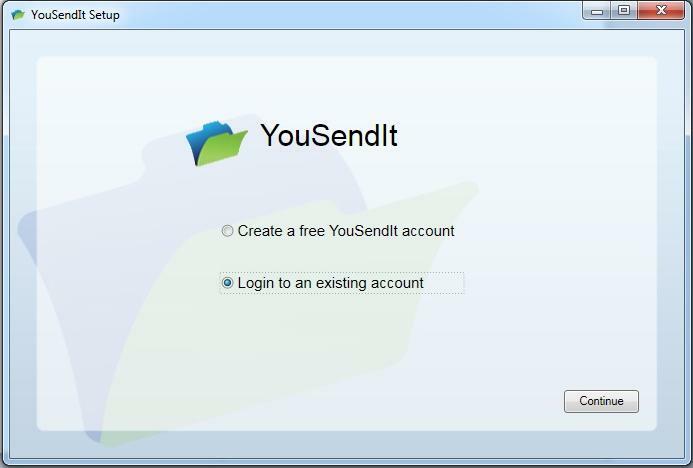 YouSendIt offers simple registration and service use, easy access and file sharing through multiple devices, and secure, effective collaboration with company teams, partners, and employees. The company was established with the vision of providing the most innovative, highly-featured industry-grade backup and file sharing service to businesses of every shade, and it currently processes more than 15 million files each month. The company was founded in California in 2004 and has achieved many awards, but considers its greatest accomplishement the ‘satisfaction and confidence’ of its customers. 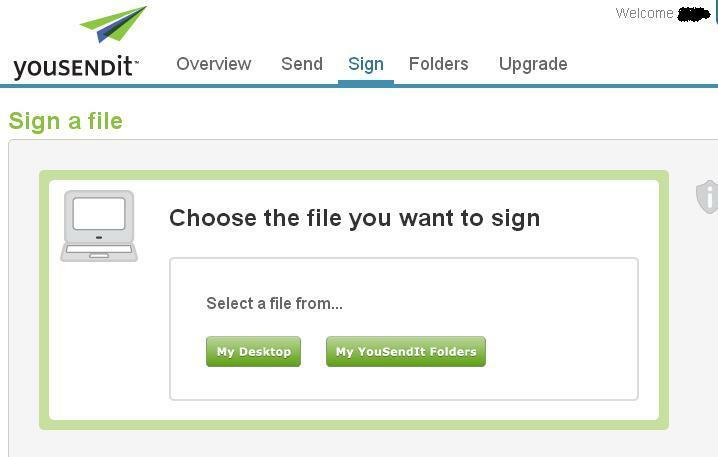 YouSendIt offers attractive pricing plans for both industrial and professional customers, and can be broken into two categories. 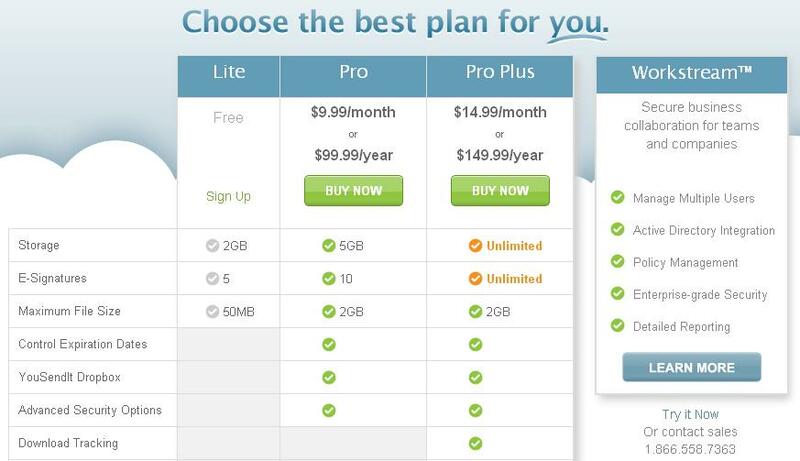 Category 1 offers three plans: Lite is the company’s free plan, and lives up to its name. It offers 2 GB storage and a maximum 50MB upload. Pro runs $100 per year and is a little bit better, but the company clearly pushes its industrial Pro Plus for $150 per year and unlimited storage. Category 2 is designed for companies involving lots of ‘teams’, and is described here in the second pricing figure. 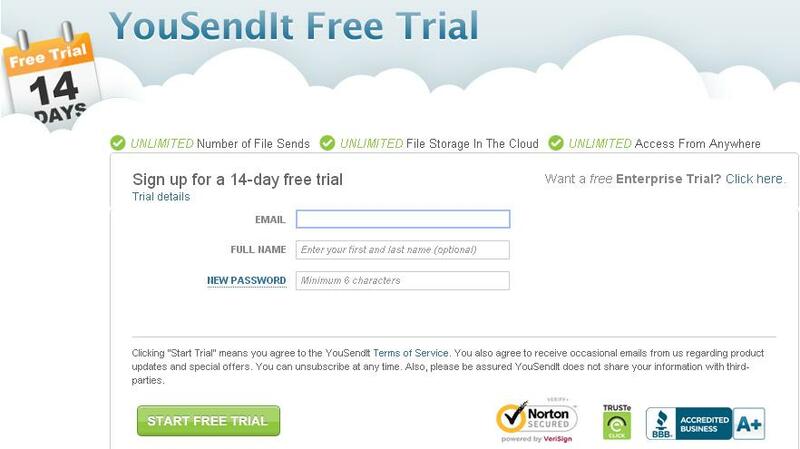 The following is the simple registration form used to sign up for YouSendIt’s free trial promotion. This category is designed for professional teams and companies. It’s a more secure and collaborative service plan, and.is divided into two sections, as shown in the following figure. WorkStream Collaboration Suite Professional @ 14.99/User/Month: Unlimited Storage, 5 to 49 Users and highly featured collaboration suite enabled. 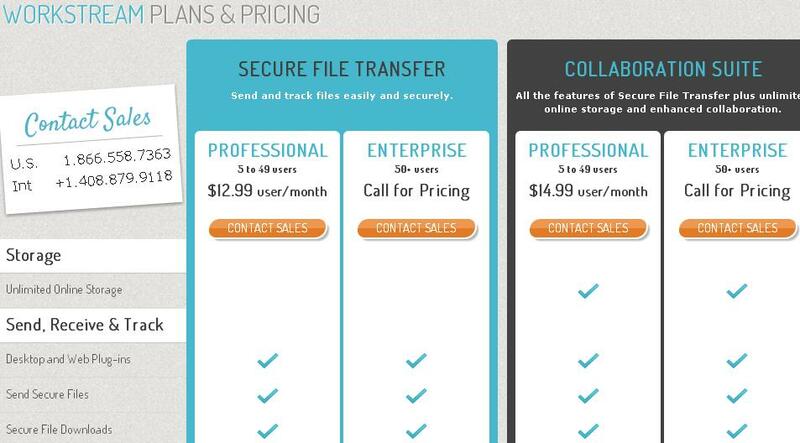 WorkStream Collaboration Suite Enterprise @ Negotaible Rates: Unlimited Storage, 50 Plus Users and highly featured collaboration suite enabled. 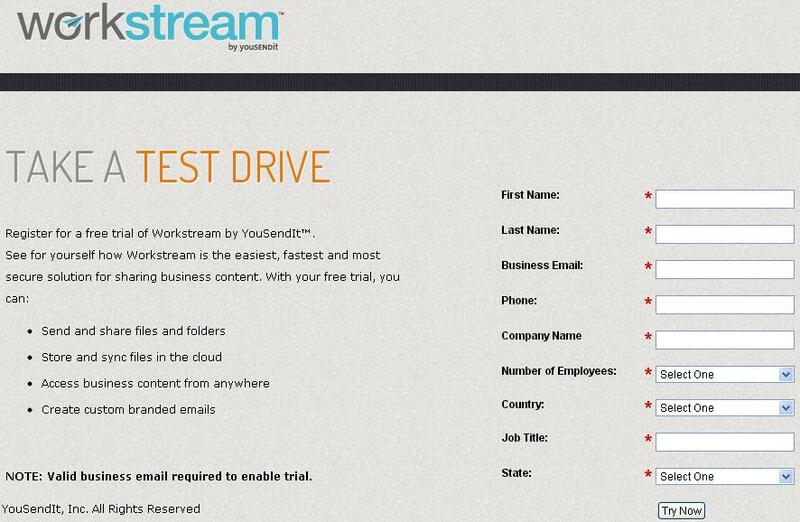 The workstream plans provide a promo period and registration is easy. 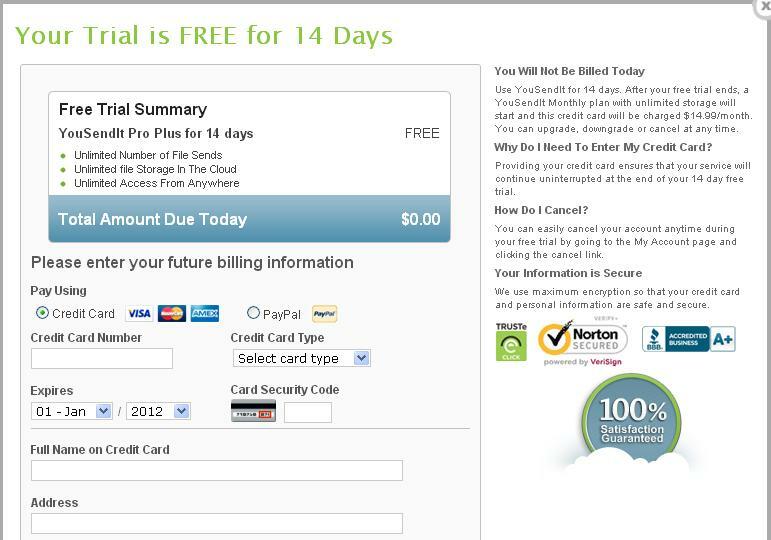 You will need to provide credit card information for membership beyond the 14-day trial. Very competitive prices suitable for individual and industrial customers. 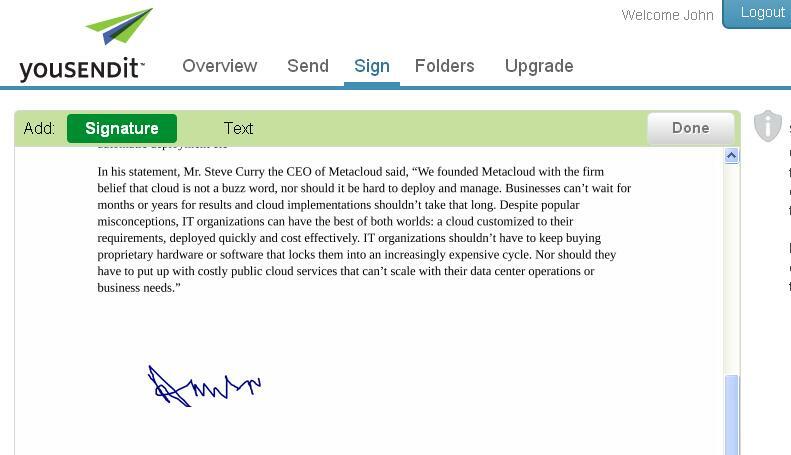 Easy to manage interface for managing, sharing, signing, and collaborating data among teams and partners. YouSendIt keeps security a top service priority and has implemented a lot of security policies and procedures for both physical and logical security. State of the art data centers are used for physical security of valuable customer data, while logical security incorporations are the most up to date, secure data encryption protocols and connections, as well as the most advanced network security policies. Data encryption protocols are 256-AES, which is equivalent to mission-critical security levels. The company also uses SSL secure connections for data transportation. 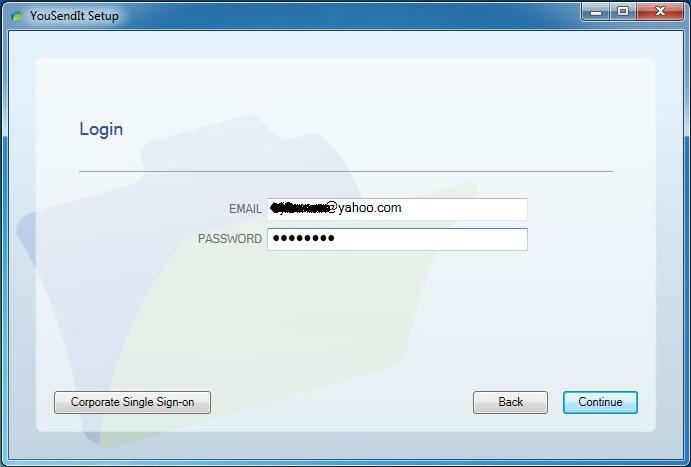 A single sign-on mechanism is used for corporate level access and authentication of legitimate users. Security firewalls, intrusion detection systems, and access-control lists are implemented to prevent malicious attacks or illegal access to data centers and stored data. 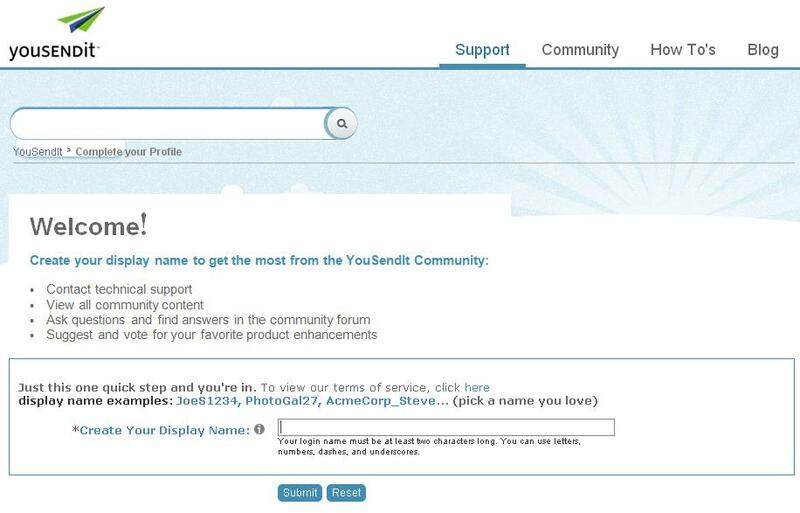 Yousendit offers live chat help, phone support, and email. 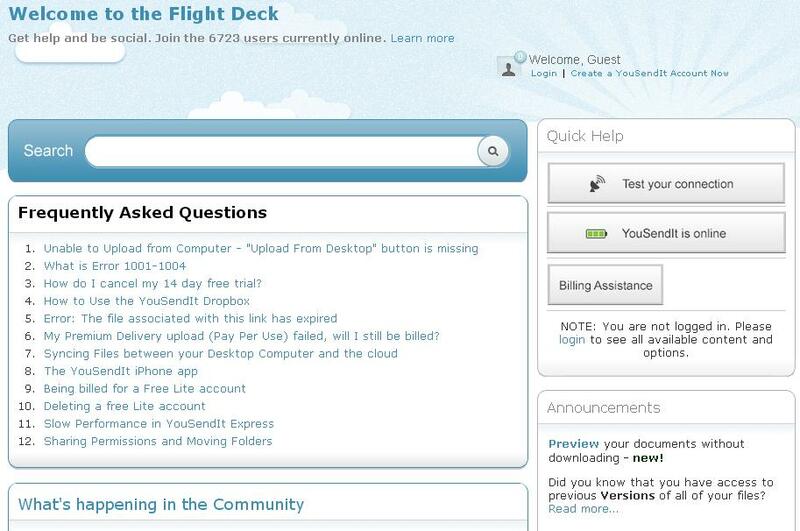 They also provide tutorials on their website for billing questions, technical and FAQs, and other troubleshooting tools such as a connectivity test. A wide range of technical support videos are available for immediate online help, and customer response time can be less than an hour. 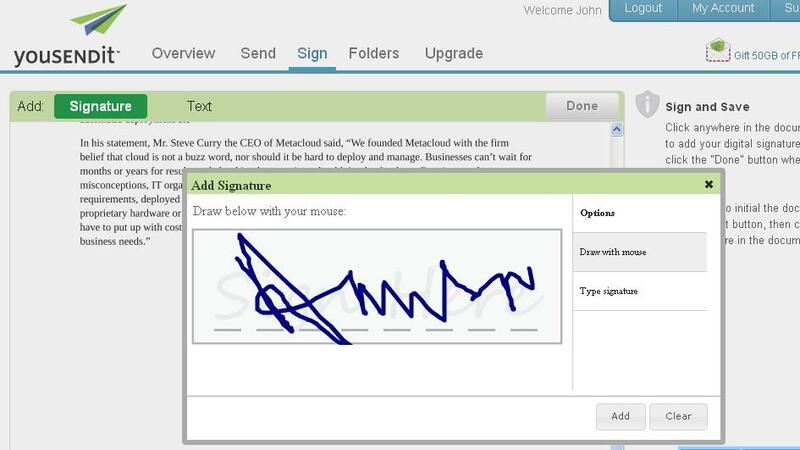 Sign up and software installation are simple. 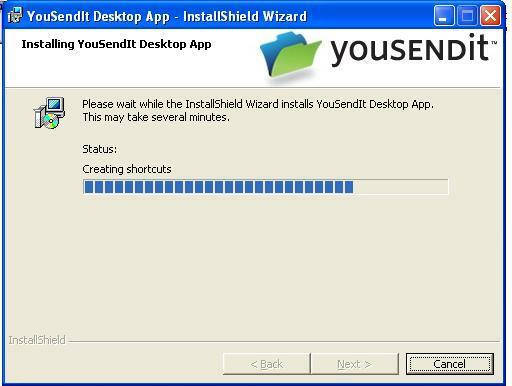 YouSendIt services can be used through both a web browser and client application installation. Procedures for both are provided below. 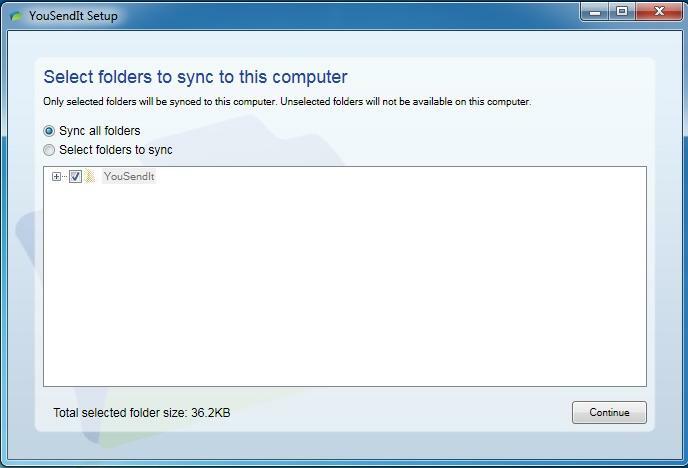 Access, sharing and file management via the web are described first, then application software will be explained. 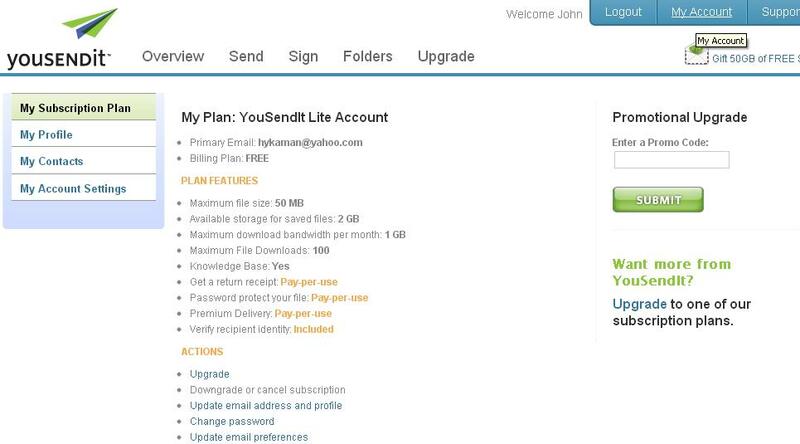 The following figure is of YouSendIt’s home page, where you can click directly on the Free Trial or opt for Plans & Sign Up followed by a suitable plan. 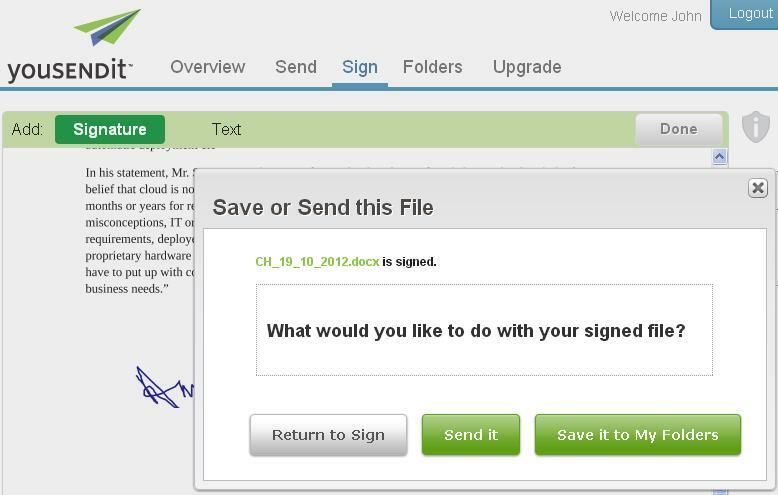 If you registered for the Lite account, you would be presented with an interface page as shown in the following figure. 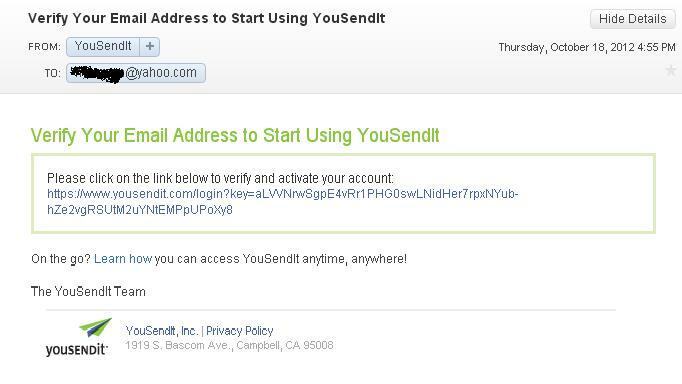 As the above figure states, to unlock the full potential of YouSendIt, first find the activation email at the address you provided. 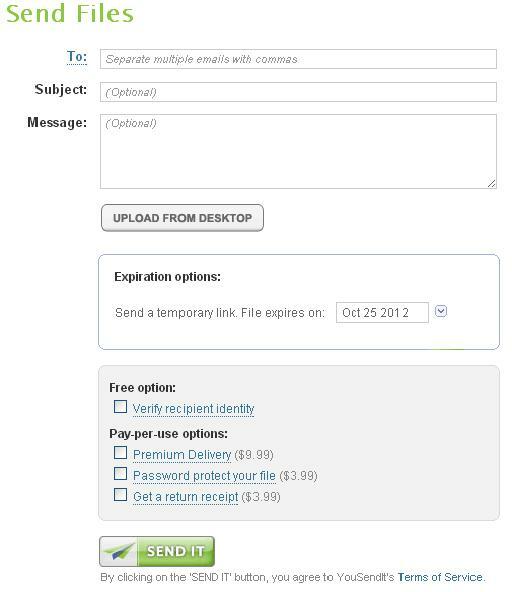 You can download the client application by clicking on Download the Free App button as shown in the above figure. 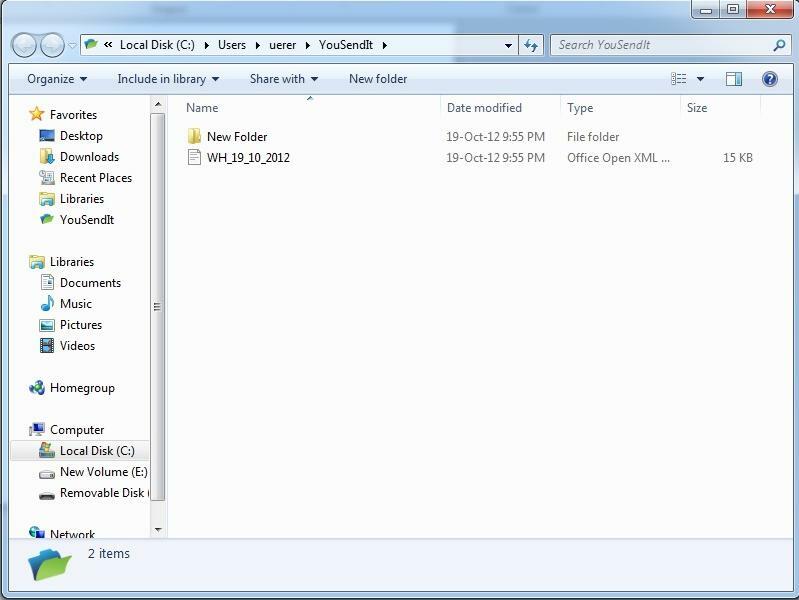 The following page will summarize the steps to install the client software on your computer. 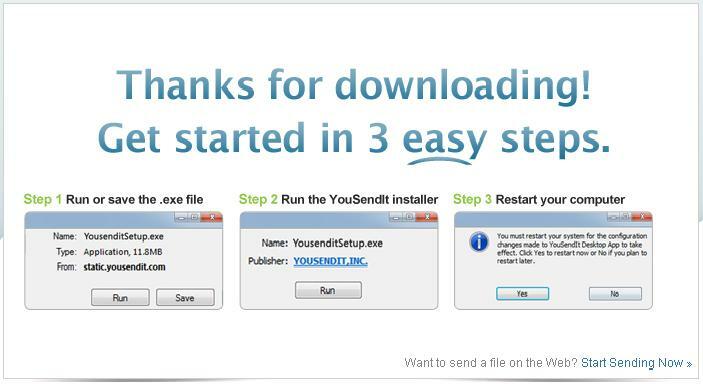 YouSendIt offers a wide variety of services suitable for businesses of all sizes and niches. 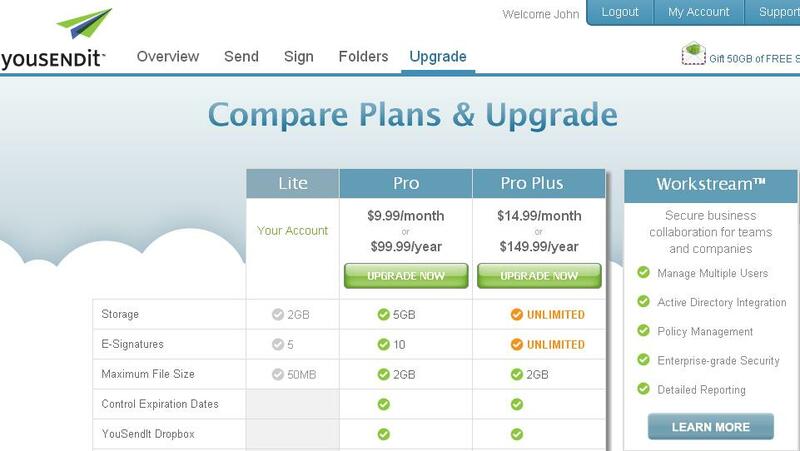 It offers attractive, competitive pricing plans, affordable for individual, professional, and business users. The company’s services are reliable, highly secure, fully featured, and customer support is above par. 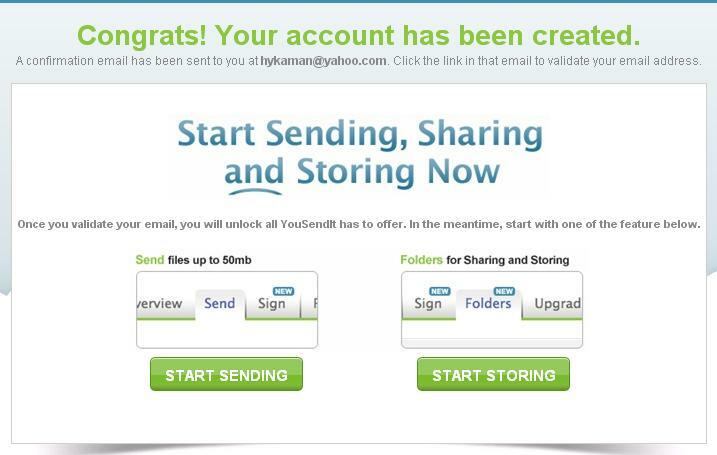 It is recommended for all types of online data backup and file sharing users. Their web interface is excellent, and the software is good too. can’t complain about anything really.